Nacogdoches, Texas– Texas Farm Bureau Freedom Fest presented by metroPCS will once again be offering all the sights, sounds and tastes of an old-fashioned, community-wide Independence Day celebration on July 4th in Festival Park. Families are invited to enjoy delicious festival food, children’s activities, the “All-American Hot Dog Eating Contest”, the “Star Spangled Pitch Off” washer tourney, and live music by Culverhouse. The evening will culminate in a dazzling fireworks display sponsored by Texas Farm Bureau beginning 30 minutes after dark. Admission is free. Freedom Fest will take place from 5 to 9:30 p.m. in Festival Park, located just south of the downtown square in Nacogdoches. Guests are encouraged to bring their lawn chairs and blankets to Festival Park. Glass bottles and alcoholic beverages are not allowed. The 3rd Annual “All-American Hot Dog Eating Contest” will start at 6:30 p.m. and there will be three age groups: 7-12, 13-17, and 18+. Participants may register the day of the event 5-6:15 p.m. at the CVB tent. Registration is free. Prizes will be awarded to the winners. Sharpen those washer-pitching skills for the 5th annual “Star Spangled Pitch Off” washer tourney. Teams of two have the opportunity to compete in this pitching event at 6 p.m. located by the children’s activities in downtown Festival Park. Contestants can download the entry form at www.visitnacogdoches.org or sign up at the Jaycees info booth the day of the festival. Entry into the contest is $20 per team. Cash prizes will be awarded to the winners of the Pitch Off. A fun children’s area will keep the kids entertained with arts and crafts, potato sack races, water slides, moonwalks and letters to the troops. Sponsors for the Fourth of July celebration include Texas Farm Bureau, metroPCS, Brookshire Brothers, KICKS 105, the Nacogdoches Convention and Visitors Bureau, the Nacogdoches Jaycees and Pepsi, the official drink sponsor of Freedom Fest. Other popular locations for viewing the fireworks are the University Mall, Williamsburg Plaza, Downtown Square, Nacogdoches County Courthouse, Coy Simms Softball Park and Brookshire Brothers on South Street. For more information about Freedom Fest, call the Nacogdoches Convention & Visitors Bureau at 936-564-7351 or 1-888-OLDEST-TOWN. 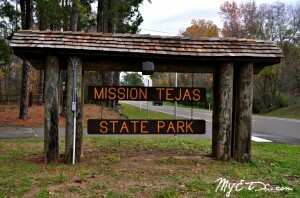 Weches, Texas- Mission Tejas State Park is gearing up for fun in the great outdoors this July with two guided historical tours. Discover wildlife, learn about the Civilian Conservation Corps (CCC), the Rice Family Log Home, the Mission Replica, and the El Camino Real! 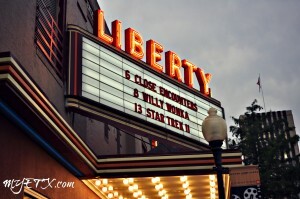 Tyler, Texas- Liberty Hall in Tyler will have something for everyone this summer from movies to events for the whole family!